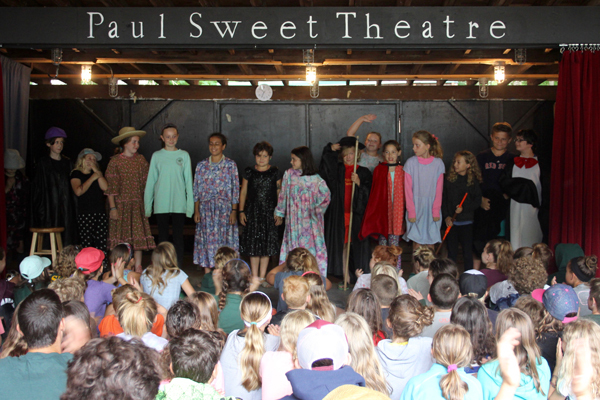 Drama is offered in both the one week sessions and two week session. 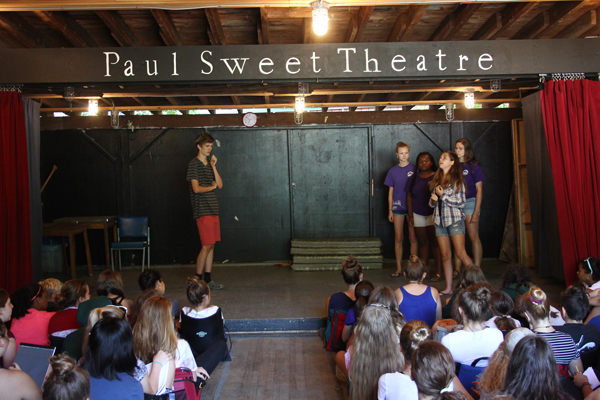 Campers spend the first part of each class playing improvisational games to hone their theatrical skills. 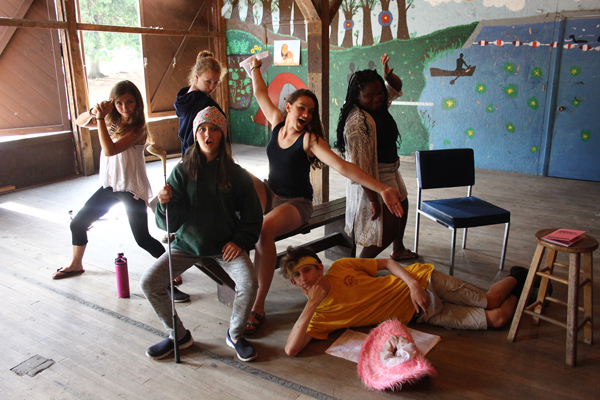 The one week session drama class focuses on writing/improving a skit to perform for all of camp on Friday. 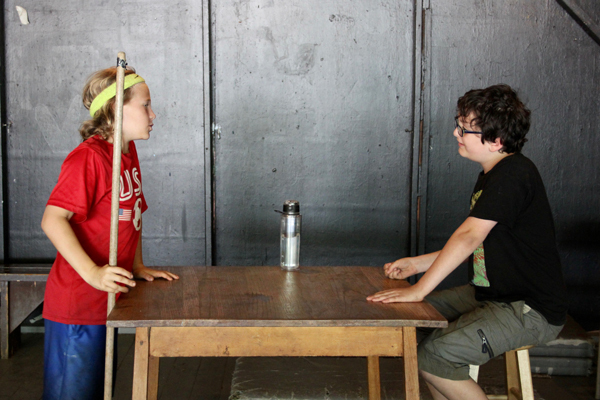 During the two week session, the class performs a major production. 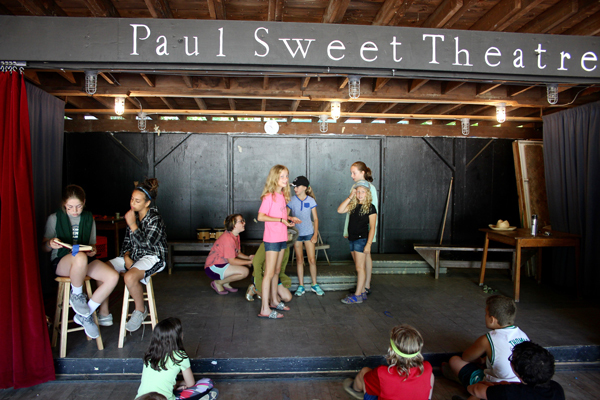 Throughout the two weeks campers memorize their lines, songs, and put finishing touches on their costumes. The play is different every year. 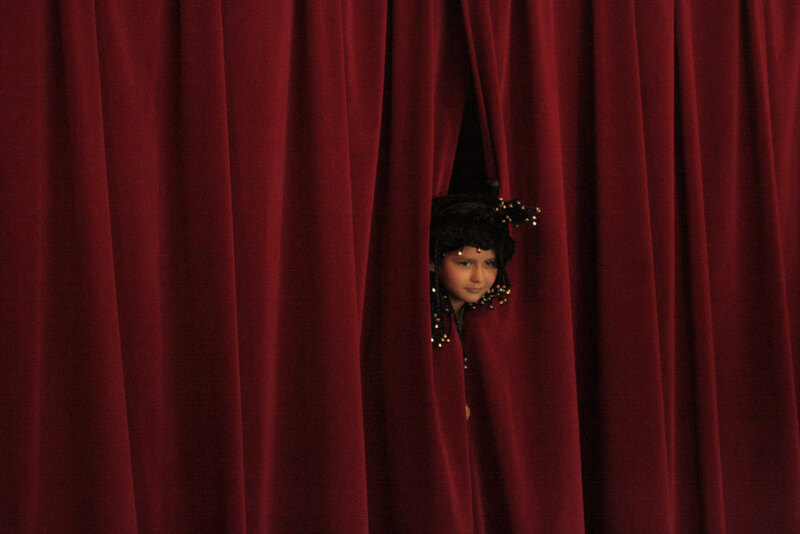 In the past we have performed: Beauty and the Beast, Peter Pan, The Little Mermaid and Newsies.